Date for your diary – Saturday 24 March 2018. 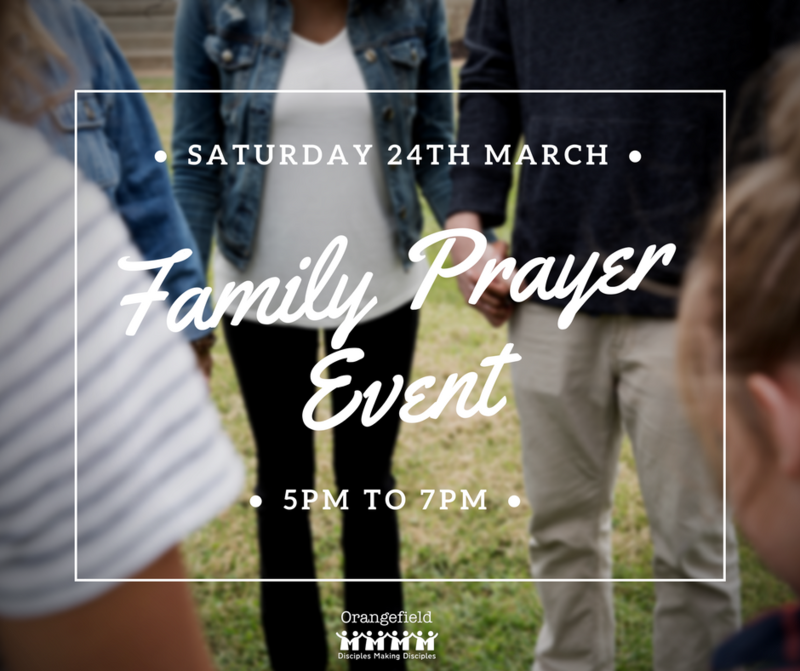 Family Prayer Event from 5-7 pm, starting with a buffet at 5.00 pm. 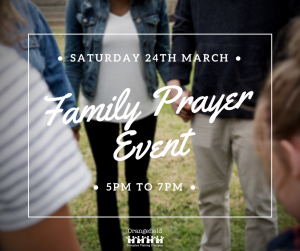 This exciting 2 hour event will offer opportunities to pray for the world, our church family and for personal reflection. Look Out! Look around! Look in! This is not an ordinary prayer meeting! It is an event for all ages and will be imaginative enough to engage children and teens as well as adults. Lent Quiet Hours start this Wednesday at 7.30pm. Please come and join us as we pray, listen to music and think about God’s Word. The book we are using this year is “The Glory of the Cross” by Tim Chester (https://www.amazon.co.uk/Glory-Cross-Tim-Ches…/…/ref=sr_1_1…). Stay as long as you can or for the full hour. Instead of giving up chocolate for Lent why not devote an hour each week to sitting quietly together enjoying God’s presence. At Orangefield we have a wide range of activities for all ages. The leaflet below gives dates, times and important information for all our activities. If you need any more information then contact the church office on 02890 799391 or via email office@orangefield.org.uk. Griefshare is a support programme for people grieving the death of someone close. Our group can offer you comfort and encouragement during this difficult time. The Ladies Walking Group is open to all. The group meets every fortnight at the church at 9.30am and goes for a walk in the local area, finishing back at the church for a healthy snack, finishing by about 11.30am. For further information contact Heather via the church office 02890 799 391. We encourage members of our church to be part of a small Bible study group in which they can build friendships and enjoy fellowship. Currently we have around 20 groups with nearly 300 members meeting fortnightly in homes or in the church. If you would like to get involved in a fellowship group contact the Church office.